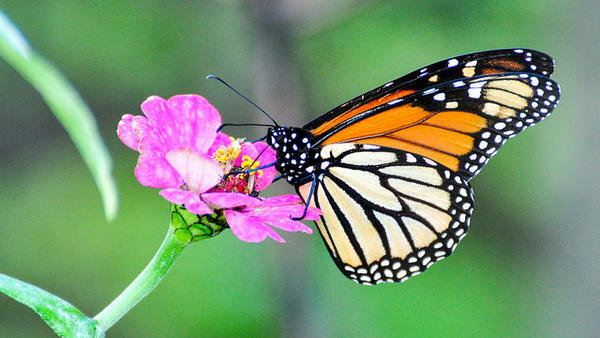 Monarch butterflies feed from a variety of flowers. Their caterpillars, however, only eat milkweed. Monarch butterflies in the West have hit a record low, according to a conservation group that tracks their numbers. Though counts are regularly done along the coasts, Sarina Jepsen, director of endangered species and aquatic species with the Xerces Society, says conservationists need a lot more information about the butterflies in the Mountain West. “Colorado, Utah, Montana, Wyoming -- and I'd add New Mexico to that -- is really the area of the entire country that we know very little about,” says Jepsen. In a call to action to “avoid a total collapse of the western monarch migration,” the society and partner institutions across the West are asking that people report sightings of monarchs and the plants their caterpillars eat -- milkweed -- on the website Western Monarch Milkweed Mapper. Jepsen says trends among the monarch butterflies, which are much more consistently studied than many other insects, could be considered a barometer for other species. 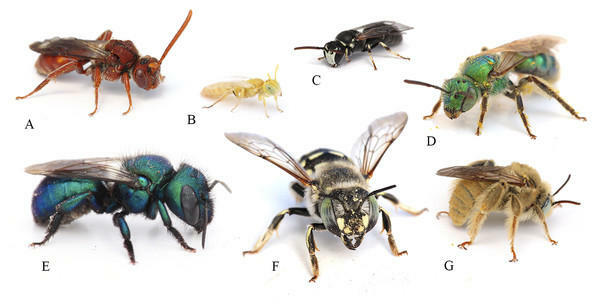 A new study says when the Trump administration shrank Grand Staircase Escalante National Monument in Utah late last year, it may have endangered scores of native bee species. Not long ago, the bright-orange monarch butterfly was a common sight in Wyoming. Now, not so much. So conservation groups are enlisting Wyomingites to help track down how many are still migrating through. Nature Conservancy Scientist Amy Pocewicz said the species is in serious decline because the forests where they overwinter in Mexico have been disappearing. The monarch was petitioned for possible listing as an endangered species in 2014 and the federal government is now a year overdue in making that decision. What do butterflies, pikas and a challenge course have in common? They're all at the heart of the summer camp experience for teens in Kelly, Wyoming. Bordering Grand Teton National Park, Teton Science Schools offers a perfect setting for campers to study and appreciate nature. But as Rebecca Huntington reports students walk away with a lot more.